Ragnarok Online is a popular Korean MMORPG based on the manhwa Ragnarok: Into the Abyss. The game was first released in 2002, and Ragnarok Online 2 was released in 2012. 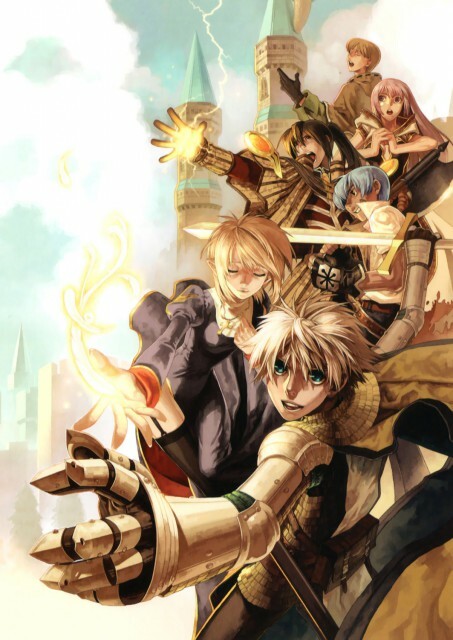 It has many spin-offs, including the anime Ragnarok the Animation. The basic structure is like most MMORPGs: hack-and-slash, grind fest, etc. But RO is dear to its players because of the little quirks it has: such as the idea that sticking a card from a monster into your equipment will make it stronger (a concept artists have lampooned many times), the endless HATS! quests that people sink so much time into (because it's the only other way you can customize how your character looks), the PvP system (quite complex; skill and gear are huge factors here and battles can be long and epic depending on the players' abilities) which also leads to the GvG/WoE (War of Emperium; a faction called a Guild versus other Guilds over Castles, which give the owner certain rare items and benefits), an item upgrade system, and Hats.